The noodles making machine is mainly applied to make Chinese noodles, western pasta, dumpling wrappers, and some other cooked wheaten food. The noodles/ pasta made by our machine taste delicious and look great, which will improve your working efficiency at home, restaurants, hotels, and some other food processing industries. 1. Multifunctional. 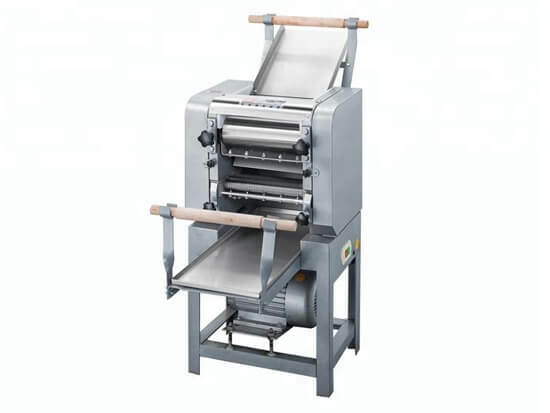 This machine can make noodles, pasta, dumpling wrappers etc. 2. The noodle thickness is adjustable. So noodles/ pasta with different diameters can be made. 3. Easy to operate and durable. 4. Made of stainless steel. Diseases like obesity and diabetes are rising throughout the world. Science study shows that noodles/ pasta and some other low glycemic foods can effectively help to control the blood sugar and weight. Besides, noodles/ pasta are delicious and inexpensive, which make it the affordable and healthy food popular in almost all societies. Why Do people Like Noodles? Pasta or noodles are delicious food containing less fat and they can be processed into different flavors by adding different ingredients. 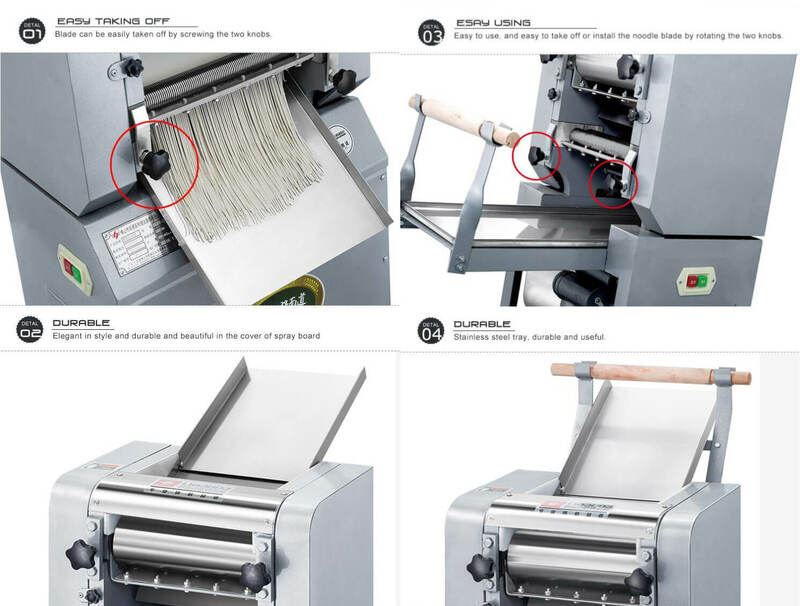 Almost everyone likes pasta or noodles, for it can combine with almost any ingredient by multifunctional noodle making machine according to your special taste.